Authorities have been directed to demolish the "illegal" bungalow of fugitive diamond trader and PNB scam accused Nirav Modi situated in Raigad district, a Maharashtra minister said today, days after the High Court here pulled up the state government for not taking action against it. Environment Minister Ramdas Kadam gave the demolition order after presiding over a review meeting on illegal bungalows built in the adjoining coastal district with Raigad collector Vijay Suryawanshi at the state secretariat here. Suryawanshi said one of the "illegal" bungalows in the district belongs to Mehul Choksi, a diamond trader and co-accused in the PNB scam, but there was a court stay on its demolition, along with some other unauthorised buildings. "The government will request the court to vacate the stay granted on the demolition of illegal bungalows of Choksi and others so that we go ahead and raze them too," the collector told PTI. The minister gave details of unauthorised bungalows. "In all, there are total 121 illegal bungalow in Alibaug and 151 illegal bungalows at Murud in Raigad district. "Some of these bungalows belong to filmstars and industrialists. Today, I have asked the district collector of Raigad to demolish the illegal bungalow of Nirav Modi, who has looted India and fled," said Kadam. He was addressing the media after the review meeting held at Mantralaya (state secretariat). An official from the district collector's office said Nirav Modi's bungalow is in Kihim village, while that of Choksi is in Awas village in Alibaug, a coastal town popular as a weekend gateway for Mumbai residents. "The illegalities of these bungalows include the violation of the Coastal Regulation Zone (CRZ) norms and additional construction," the official said. Of the 121 illegal bungalows in Alibaug, there is a court stay on 101 of them. Likewise, of the 151 illegal bungalows in Murud, there is a court stay on 61, the official from the collector's office added. As of now, no action would be taken against illegal bungalows built by local residents, the minister said. 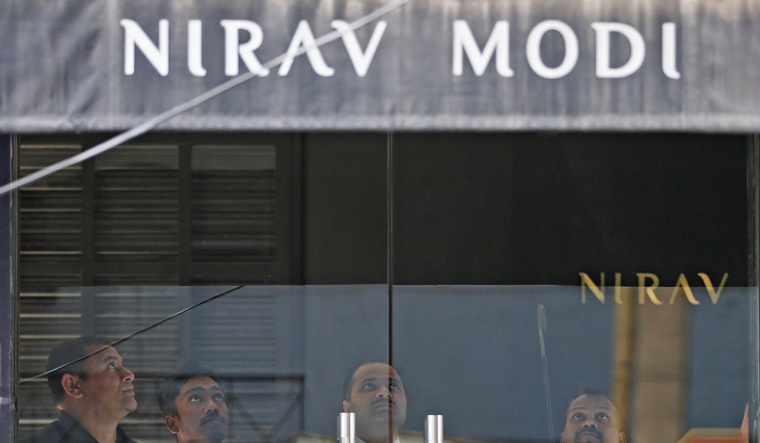 Suryawanshi said the government will be writing to the Enforcement Directorate (ED), which has attached Nirav Modi's bungalow as part of its probe into the PNB scam, seeking permission for its demolition. The bureaucrat said the earlier notices for demolition of illegal bungalows were issued under the Maharashtra Region Town Planning Act in 2015. "However, we are now requesting the court to vacate the stay as fresh notices have been issued (for their demolition) under the (more stringent) Environment Protection Act," he said. The HC had said it would direct the state government to initiate an inquiry into the issue.